Last week, the Project Life app for iOS went live. And I am hooked! There are definitely a few things that I am hoping get released in the next few updates for the app, such as the ability to type over a "photo" space, but I must say, I am very impressed with the capabilities of the app. I love that you can choose round or square corners, and that they've modified the cards so that when you do choose square corners, there's no need to resize the previously rounded cards to fit in that square space, which I have to do when I do Project Life in PSE. 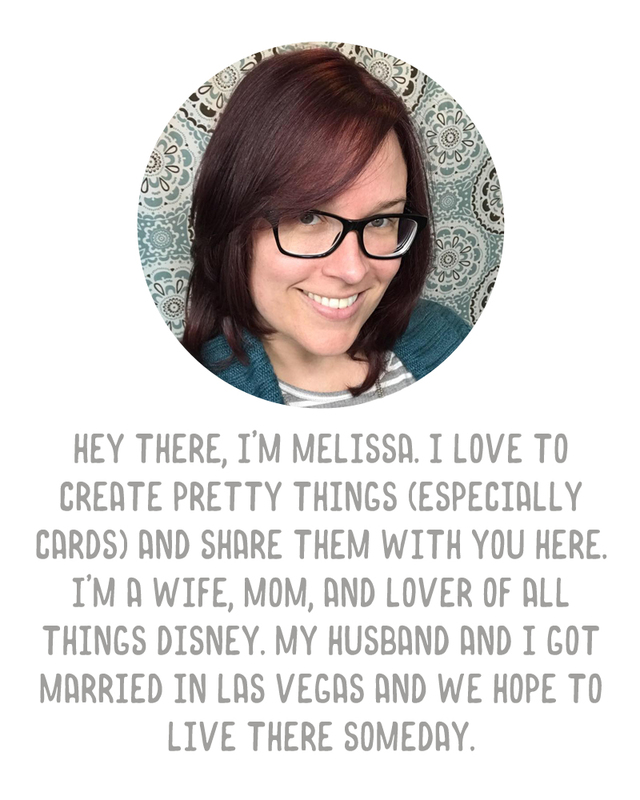 I also like that when you add journaling to the cards included in the app, it easily fits in the space and you can make some vertical or line spacing adjustments. 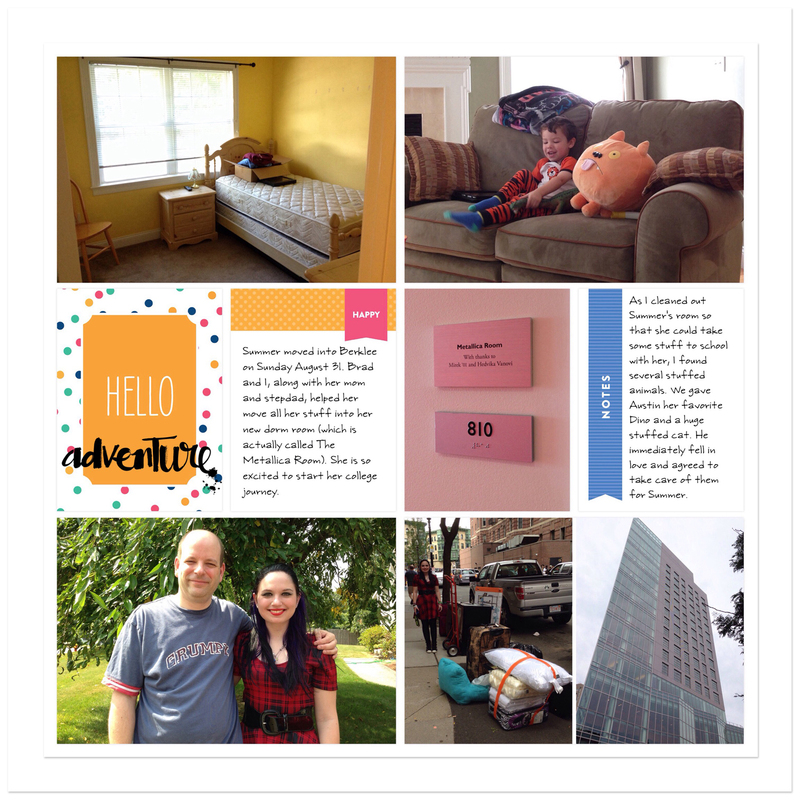 So I decided that I am going to finish up 2014, and probably do 2015, with the Project Life app. It really does make it so easy to complete a layout! I made four pages while sitting in bed watching The Proposal on Saturday night. I've been looking for the perfect solution to stay current with the everyday documenting, and while going digital has definitely helped...I still found myself falling behind. Not anymore. To make my page, I did use a total of 4 apps/programs. First, I made a collage of two 3x4 photos in PicFrame. I know you can make collages in the Project Life app but I couldn't figure out how to make a line between the two photos. This might be user stupidity though :) Anyway, then I made the page in the app with the included Strawberry edition cards, in about 5 minutes. I exported the page and opened it in Rhonna Designs to add the "adventure" stamp. Finally, for printing purposes, I opened my layout in PSE on my Mac and reduced the size of the page so that I had a wide border around it. I just wanted to keep the main part of my page the same size as the previous ones in my book, with the wide border. The entire process took me probably a total of about 10 minutes, including the part on my computer. So simple. I am using DropBox right now to share my photos between my Mac and my iPad (where I'm doing most of my layouts due to the larger screen). I just signed up for DropBox, but so far it seems pretty easy to use and share files between locations. I only have the free 2 GB drive though, so I delete the files from that folder when I'm done with them. I am really happy with how easily and quickly I can whip up a page in this app. And, because I can't really use digital embellishments (think back to the first half of this year), I can still keep my pages clean and simple, like I've been doing for July and August so far. As with all of my digital pages, I will upload this to Shutterfly and add it as a page in a 10x10 photo book. If you'd like to see the photo book I made for the first half of this year, you can check out this post.